While preparing the Autumn in Yunnan project, I am benefiting from the research underlying “Echoes of History: Naxi Music in Modern China”. Already 20 years since publication, this infinitely detailed book helps the reader drill down into the seemingly infinite levels of Chinese history, geography, culture, and tides of political and governmental entities. 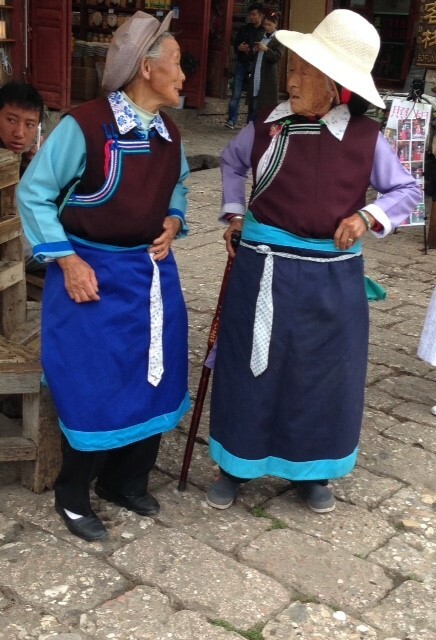 Ethnomusicologist Helen Rees focuses on the Naxi minority (or tribe), their absorption of Han music, and the general environment in Yunnan province that surrounds the tribal cultures of southwest China. 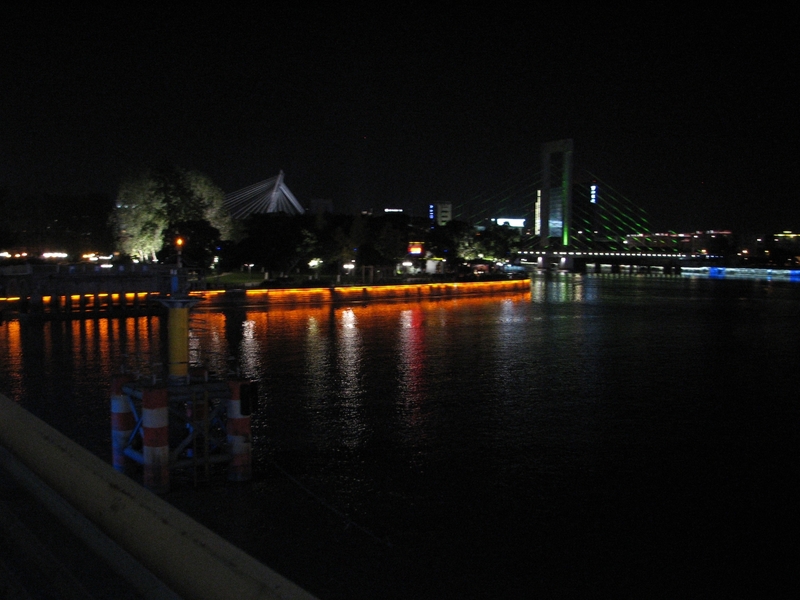 The challenges she faced are not unlike those seen by Bela Bartok in eastern Europe between 1900-1910. In fact, Bartok decried the pollution of ethnic musics, the misrepresentation, and anti-historical performances in the name of ethnic music throughout Europe. Prof. Rees offers as good an explanation as any of how the Han majority assimilated and controlled the minority cultures, beginning in ancient times. 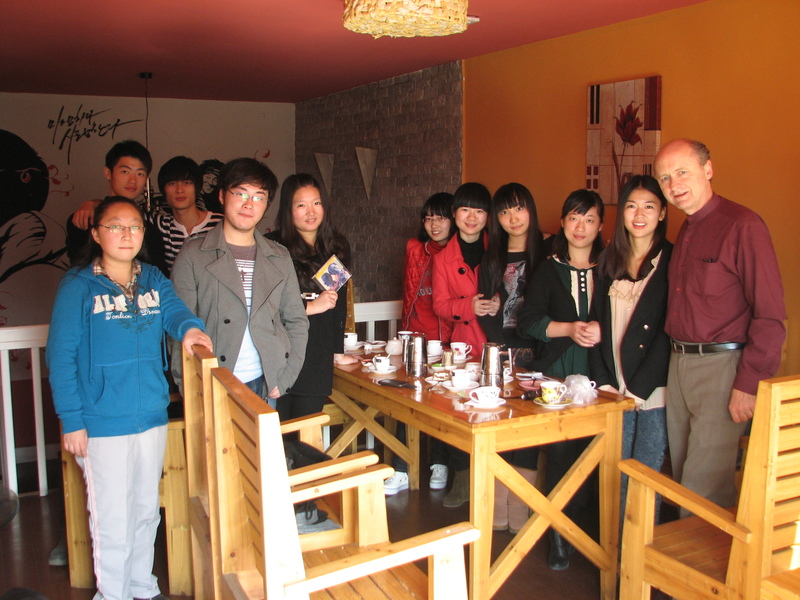 The focus of this trip was the visit to Guizhou University, in Guiyang. Guiyang, located in the far southern mountains of China, sits at 3000 ft above sea level and enjoys cool breezes and very clean air year round. The university is in a sylvan and mountainous setting. 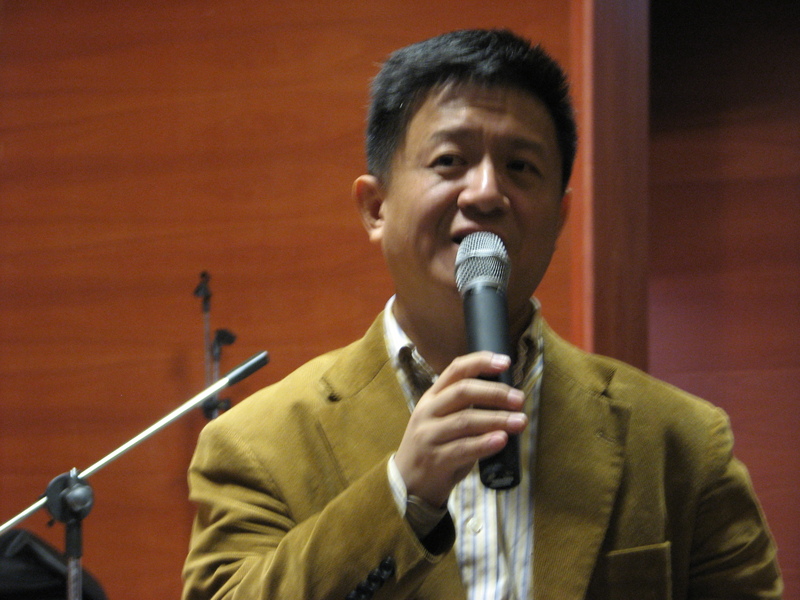 Professor Jian Feng Wang, Dean of the School of Fine Arts, was my host. My assistant and companion for the time at the school was the linguistics grad student, Xu Tao. Xu Tao was a marvelous guide, and a great conversationalist on all subjects from culture, language, international affairs, and human nature. Aside from getting me from one place to the next, he took me on a guided tour of the nearby medieval village of Qinq Yan in the nearby mountains. The final concert included a marvelous performance of Chick Corea’s Spain featuring the wonderful erhu soloist Ren Jie. She understand this piece beautifully and we put it together in a single rehearsal. 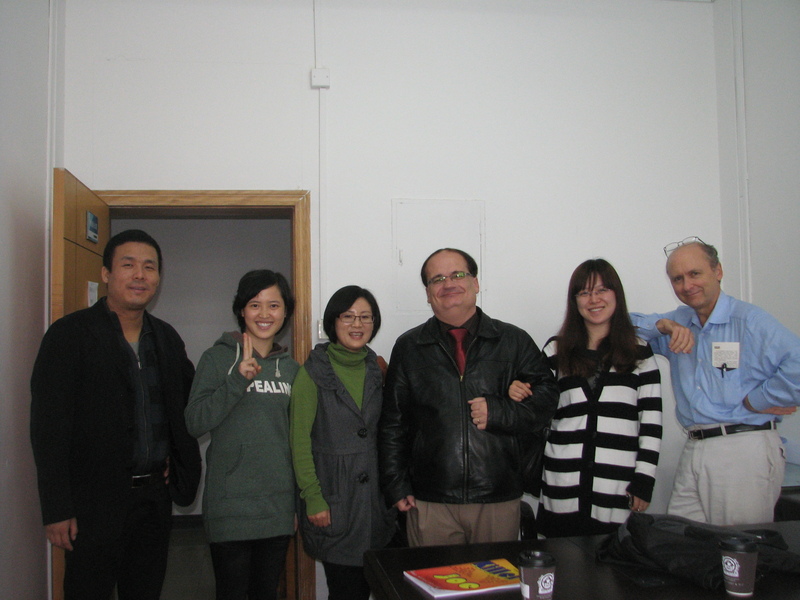 Many thanks to Professor Jian Feng Wang for arranging a visit to Guizhou Ethnic University in Guiyang on April 7 and 8, 2013. The encounter included an impromptu singing and performance session with a crowd of students, and then an official concert. Certainly the highlight of the concert was an interlude presentation by the students of a folk song in full regalia. The university is in a beautiful setting in the wetlands bordered by sharply rising mountains on all sides. Erhu faculty member Chen Jia and I collaborated on 良宵 by Liu Tian Hua刘天华。It is hard to explain the warm welcome I received from both students and faculty and I hope I can spend more time with them in the future. 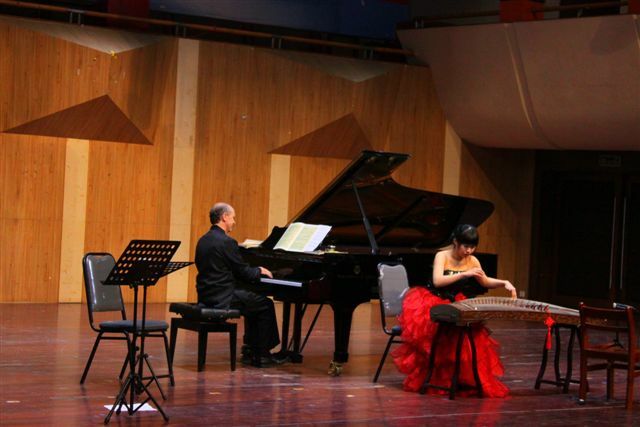 Wang Yingtao, guzheng; Burnett Thompson, Piano临安遗恨 Leave Regrets in Lin An. 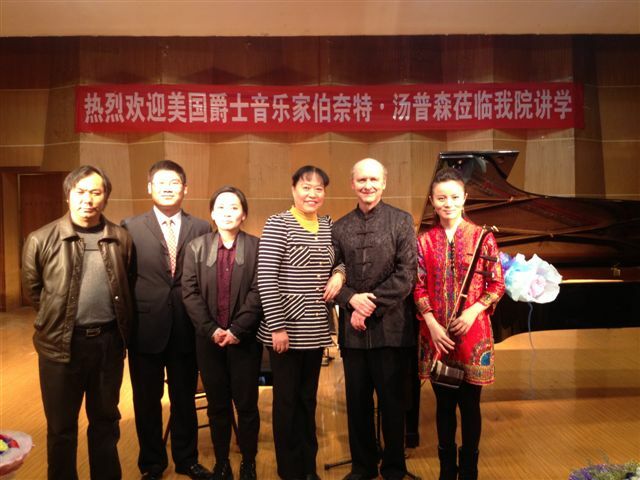 A reprise of the Nov. 2011 Ningbo concert took place on April 6, 2012. 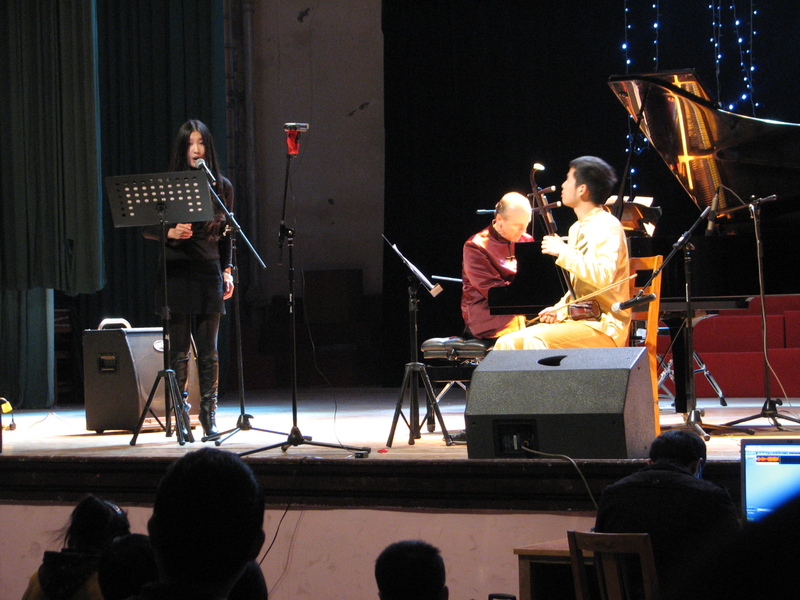 Included in this concert was the debut of Zhang Dawei on double bass. Dawei, a piano student at the university, took the jazz class and learned the blues in 3 days, having never even touched the double bass. With the aid of the irrepressible Tom Smith, director of the jazz program at Ningbo University, the three of us fleshed out the “Butternut Blues”. Again the remarkable Wang Lei Lei sang two folk songs and gave an unforgettable performance of “Darling, Je Vous Aime Beaucoup”…but in Chinese and French, likely a first for this song. 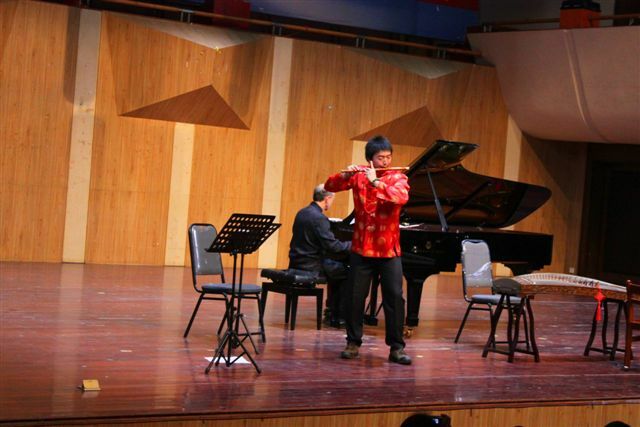 Wang Jian Qiao and I put together a fresh look at a traditional Chinese piece, Chu Yue Xiao Ge (New Year’s Song) with a visit from the Beatles “Norwegian Wood”。 We were also joined again by Song Wen Yue for “Spain” and “Jiang He Shui”.